Come enjoy Fly Casino on May 29, 2017 with FREE SLOT PLAY! 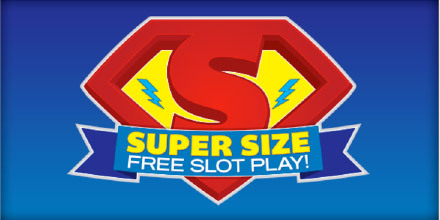 That’s right, in addition to the awesome promotions below, you are invited to claim $/£/€25.00 free slot play bonus if you have deposited at least $/£/€200 or more in May. To claim contact support@flycasino.com on May 31, 2017. Just 10X wagering requirement with 600.00 max winnings. 120% up to 120.00! From 00:00GMT until 23:59 GMT, all members on their deposit of just $/£/€10 or more will receive a 120% bonus up to 120.00. 77% Big Money Tuesday! From 00:00GMT until 23:59 GMT, all members are invited to receive a 77% bonus up to $/£/€144.00 on your deposit of just $/£/€10 or more or more.